Bike: Tough ride. The lack of elevation change made it uncomfortable for me after about hour 4. The winds on the exposed side of the island were humbing. 5:21:19. Run: HOT! Severe stomach cramps set in early at about 10k. Soon thereafter the race stopped being about time/placing and became all about getting across the finish line. Thankfully I made it. 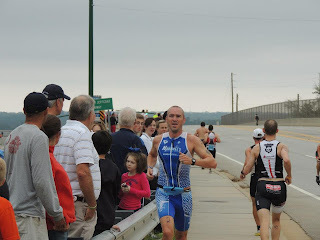 2012 was one of my best years racing triathlon. I was able get the overall win in 2 triathlons and 1 duathlon and podiums in several other races, finishing no lower than 4th place in any race in the state. I finished the SCTS year-long points race in 3rd place. Winning the Lake Murray Triathon was perhaps the highlight of my racing "career", having been voted most popular race in the state series and the longest running triathlon in this area. As trivial and cliche as it sounds, it was a dream come true. I was also exceedingly pleased to go 4hrs 14min for the half distance in Charleston. That was 5 minutes faster than my previous PR for the half ironman. Now it is time to take on some new challenges and focus my energy more on the needs and desires of the family. I won't be racing in 2013. It will be an awesome year nonetheless and I'm very excited about the projects and excursions I have planned and the hobbies I'm rekindling. Send me a friend request on Facebook if you want to see what I'm up to. Wait ... what gear am I supposed to be in?? I jumped into the Dam Tri Sprinternational race this weekend. Yes that's right ... longer than a Sprint but shorter than an International. 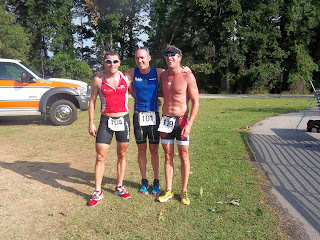 The distances were 1000 meter swim, 21 mile bike and 7k run (although I think the run was a bit short of 7k). 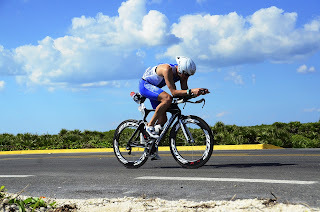 There was no rest for me coming into this race and I think I was a little flat, but mainly stuck in the wrong gear!!! Given that I'd nearly hyperventilated during the swim of my last race I figured I better start a little easier and build into it. And so I did ... nice and relaxed ... the problem was I never lifted the pace. Never came out of that comfort zone. Maybe I've been dwelling too much on the upcoming ironman?? I don't know ... but one thing is for sure, I was in the wrong gear. 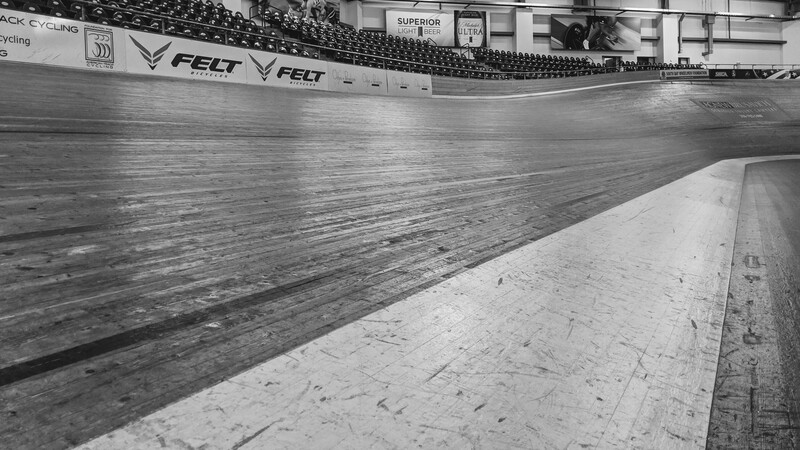 Once the damage is done in a short course race it's really hard to claw your way back. 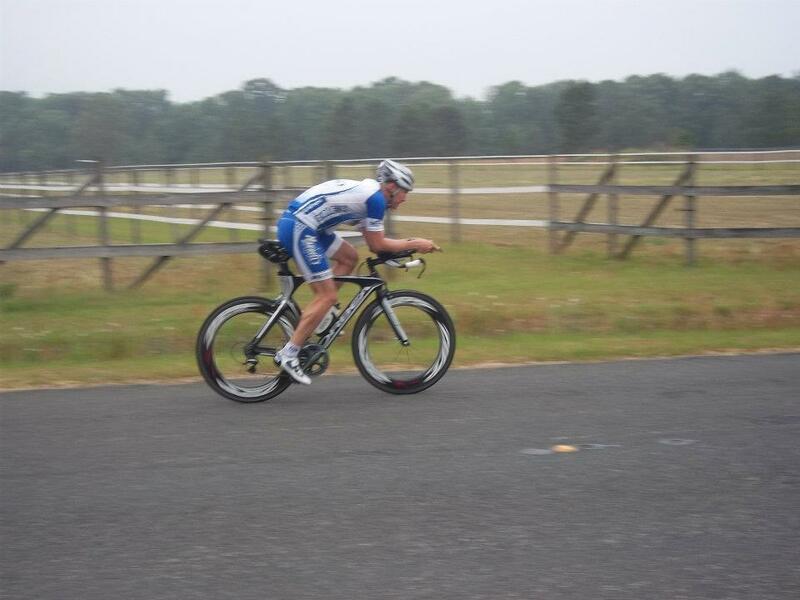 I tried to push the pace on the bike but actually lost 7 more seconds to 3rd place. I'll have to say that I didn't enjoy the bike route very much. It was among heavy vehicle traffic which was a little unnerving for me. There was a bike lane that could be used but I stayed out of it, fearful of the additional debris and risk of a flat tire. I'm just not used to riding in traffic. For instance, yesterday (the day after this race :p) I rode a little over 3.5 hrs and can count on one hand the number of cars that passed me. Onto the run I was able to pull back some time but never came close to overtaking 3rd place. Big props to "the kid" Tony Morales for the win and his CX coach Mike Wendt (50 yrs old) for landing that 3rd spot and keeping me at bay. It's not surprising that these guys have been the state cross country champs for past few years! Tony's teammate Eric (Mike's son) had the fastest AG time and 2nd fastest run of the day to his teammate Tony and placed 7th overall. So that's a father and son in the top 10 ... how freakin cool is that!! It so great seeing these young guys take the sport by the horns, I love that about triathlon ... age doesn't have to be a factor, old or young ... work hard, work smart and results will follow. Way to go guys. Back to the grindstone getting the work done for Cozumel. 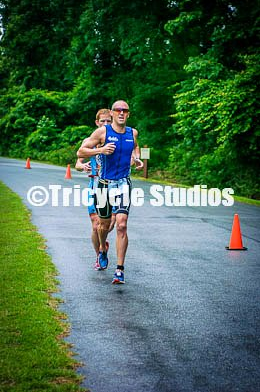 One more training race coming up in two weeks ... Hickory Knob International. Hope to see you there! After the Tom Hoskins race I developed a bad case of tendonitis in both my lower legs and one ankle. It's taken me until now to shake it, nearly 2 months. 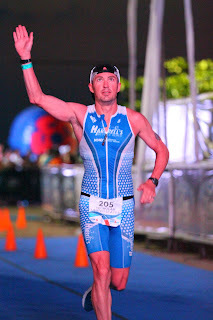 I'm coming back into form now and started my build up to ironman Cozumel 2 weeks ago (10 weeks out). 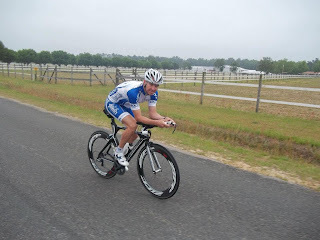 My next race is this weekend at the Dam Tri, a "sprinternational". This will be a new distance for me (1000m/21m/7k) and will be a good test of fitness. 2 weeks later is the state series finale at Hickory Knob International with the fun banquet that evening where hopefully I'll pick up a decent check. But the main focus right now is getting the work done for Cozumel over the next 8 weeks which means I will be a very tired boy! I'm very happy to have come away with the win this weekend at Lake Murray. I haven't managed a "W" in a (sizable) race in nearly 2 years and for it to come about at this race is a huge bonus. This race is staple in the SCTS and is longest running triathlon in the midlands area and was definetly one that I'd dreamed of winning. It's also about the longest "sprint" distance I know of in that the swim is 750m and the bike is 16 miles instead of the standard 20k (12.4 miles). 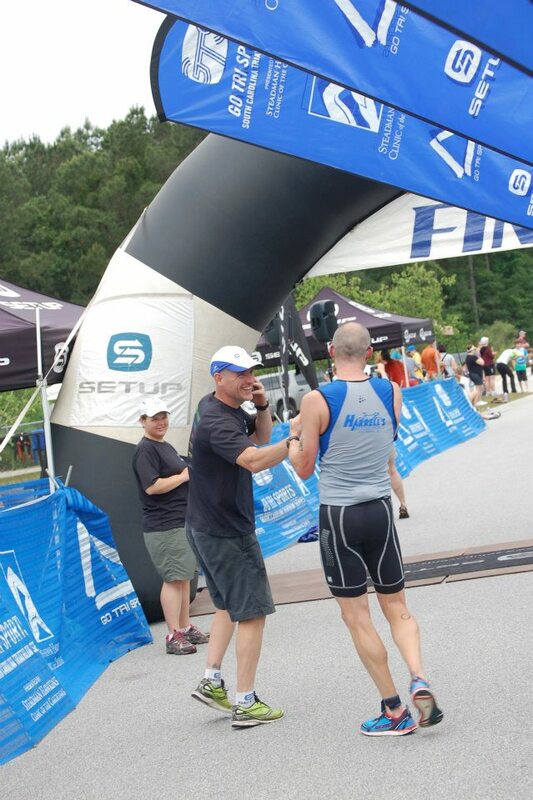 After the half ironman in Charleston there was no question what my strategy against Peter needed to be. 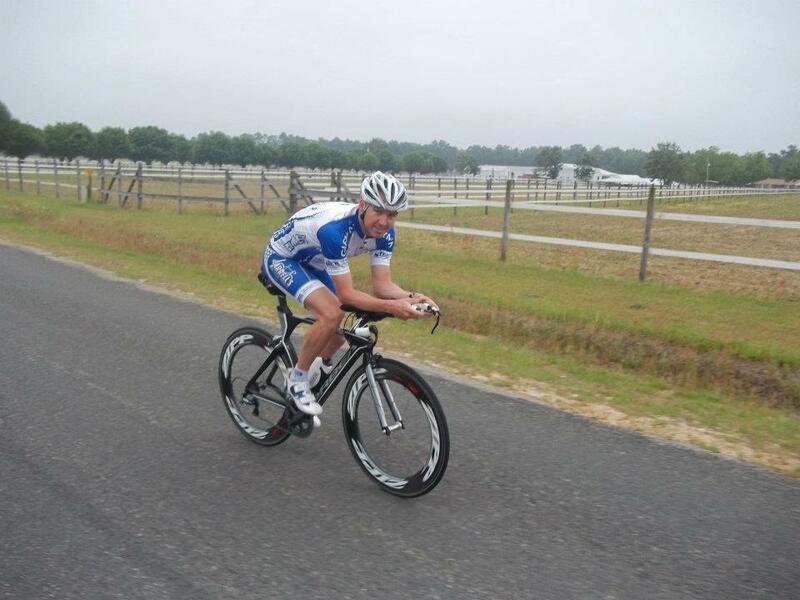 During the ride in Charleston I could sense that I was stronger on the bike but I also knew after Charleston that I didn't want to run shoulder to shoulder with him. The dude is tough as nails and holds the double marathon course record at the Ultraman World Championship and has won tons of races. He doesn't give up when the race gets hard (take a look at what he did two weeks ago in Charleston, repassing a competitor to take back 2nd place with .5 mile left). I had to come off the bike with a cushion. 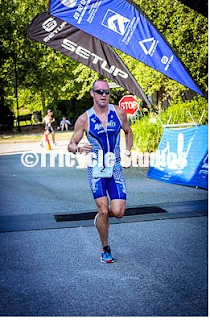 In talking with Paul Harrell last week I think I said I would need a minimum of 20 seconds - he outran me by 25 seconds ... thankfully I had 90 seconds coming off the bike and was able to stay out of striking distance. Mark was also on my pre-race radar as he consistently does well here ... 2nd last year, 4th in 2010, 5th 2009, 4th 2008 ... I consider these longer sprints distance events his sweet spot because of his super fast swim and good run. In 2010 I didn't catch him on the bike until the very end and then he was out of T2 before me and I wasn't able to catch him on the run. So I knew I wanted to get him early on the bike and put time on him before the run. So the plan was to swim on Peter's feet, pass he and Mark early on the bike and hammer, hammer, hammer and hopefully get enough cushion and have enough left in the tank to hold out for the win. As soon as the horn sounded I was on Peter's feet. The pace felt hard for the first 200 meters or so then it was full on cruise mode. After we made the first turn we were swimming directly into the sun and I was really happy not to have to sight the buoy. I felt like I was conserving energy which was great! When we got out of the water I quickly ran to transition passing Peter along the way and actually crossing the timing mat first. I couldn't help but think back to two weeks ago when he essentially did the same thing to me coming off the bike after he sat behind me for 55 miles ... it's just racing. Mark was up the road a little and Peter made it out of transition before me, but I passed him while we were mounting our bikes thanks to my running / flying mount! I pushed the pace out of the gate to try and get a gap as I set out in pursuit of Mark. I managed to get past Mark before we made the left off the park entrance road. From there it was just a matter of pushing hard and and getting as much time as possible. My quads were screaming and I really didn't know if I'd have any legs left to run with. I managed a 25.25 mph average speed on that course which I was pleased with. The Orbea rode excellent once again. I think Mandisa likes going 25! Rarely do things go exactly to plan, but that's exactly how it played out with the exception that I had much more time than I thought I would coming off the bike. Not much to report about the run ... just a matter of hanging on and managing an abdominal cramp. Thanks to big John Wellens for giving me splits to the others on the run! That took some of the pressure off at the end and helped me enjoy the final stretch knowing I had it wrapped up. 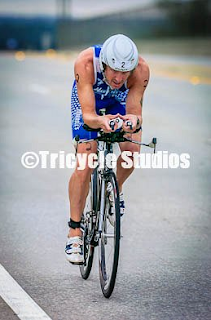 Thanks also to Harrell's Bicycle World for all their support and of course my family for all their support and encouragement and embracing the triathlon lifestyle. My kids are looking forward to their race in a few weeks! Next up is a big block of work ahead of Festival of Flowers Olympic in June. 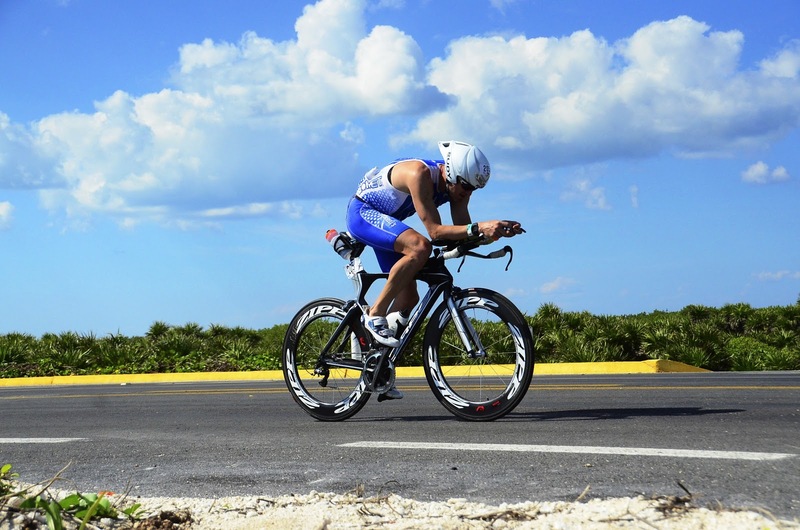 I need to develop some foot speed and raise the threshold power on the bike to achieve my goal there. 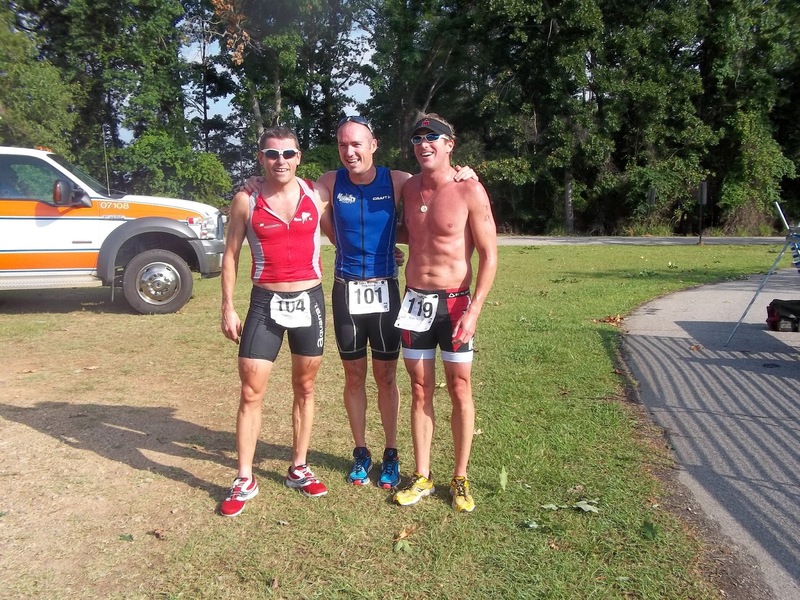 in a big way … life update and 3 race reports all in a single post! 2012 got off to a late start after little break from sport where energy and attention was focused on getting the new homestead setup. 2011 was pretty much a total disaster from a triathlon perspective which left me wondering if my best days were behind me. After the DNF at Ironman St. George and then the 2 bike crashes, I knew it was time for a break. The real estate transaction that had been in the works for nearly 2 years finally came to pass which gave and great outlet to focus on. It also left me 10 lbs overweight and slow … but rested! So 2012 literally started with 30 minute runs, 30 minute trainer rides, and a couple of short easy swims a week. 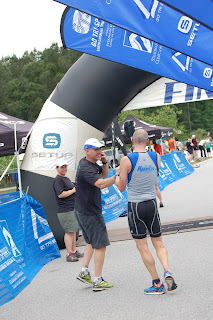 After a few weeks of that I decided to see where I stood from a fitness perspective and signed up for the Winter Challenge Offroad Duathlon in February. It’s a super-fun 2.5 mile trail run followed by an 8 mile offroad ride on a mix of dirt road, double and single track, followed by another 2.5 mile trail run. It was a first year event and there were only a handful of us competing, and with so few in the field I managed to win by 13 minutes. 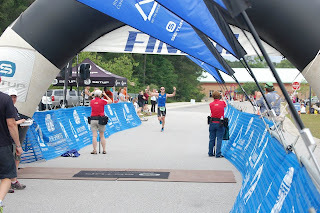 http://www.setupevents.com/index.cfm?fuseaction=event_results&id=2747 I really enjoyed this race and hope the multisport community around here embraces it next year. I wasn’t very fit at the time and it gave me just to boost mentally and physically that I needed to get me excited to try and get some speed going before the tri season started 6 weeks later. 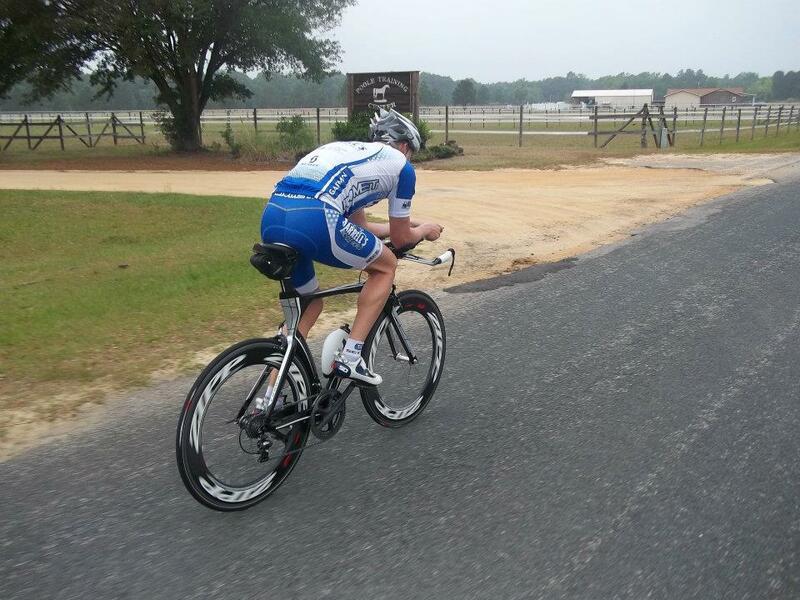 So after a pretty good block of training with more consistent s/b/r came the Downtown Columbia Triathlon. It’s a time trial start, pool swim, sprint distance race in the heart of the city with plenty of action from hills, cars, pedestrians, and spectators to add to the excitement. In the past I’ve placed 4th, 1st, 4th, so naturally I was hoping for another 1st to keep the pattern going. One obstacle to overcome was the fact that I had yet to receive my race/tri bike from Harrell’s Bicycle World (the greatest bike shop on planet Earth). All my training this year up to that point had been done on my trusty cyclocross bike. My friend Chip did me a huge favor and lent me his Quintana Roo Caliente for the race. That left me with a 3 week training block plus a taper week to get ready for Try Charleston Half ironman. And I got my new bike! Unfortunately work reared its ugly head, rendering me some of the most stressful weeks ever. One week required that I work 82 hours! That’s the kind of PR I hope never to beat. But somehow I was able to maintain a pretty good training load throughout that time and I felt pretty well prepared. You always wish you could’ve done more but that’s the plight of the weekend warrior I suppose. Taper week went well and I came into the race quietly confident that I could beat my ½ ironman PR of 4hrs 19minutes set at the 2009 world championship race in Clearwater Beach, FL (a notoriously fast course). We brought our 3 kids down to Charleston hoping for a beach day after the race on Sunday and split a suite with our friend (and fellow competitor) Chris Olson, his wife Laura and their 2 youngest girls … the youngest of which is just 13 weeks old. Unfortunately the day after the race was rainy and we didn’t get to go to the beach but we had a fun time with the Olson’s nonetheless. This race seems to have really gotten popular triathletes coming from North Carolina, Virginia, and Georgia along with South Carolina natives. It’s also become very competitive with the top 5 last year all going 4hr 18min and under. It seems like this is quickly becoming the unofficial regional long course champs! 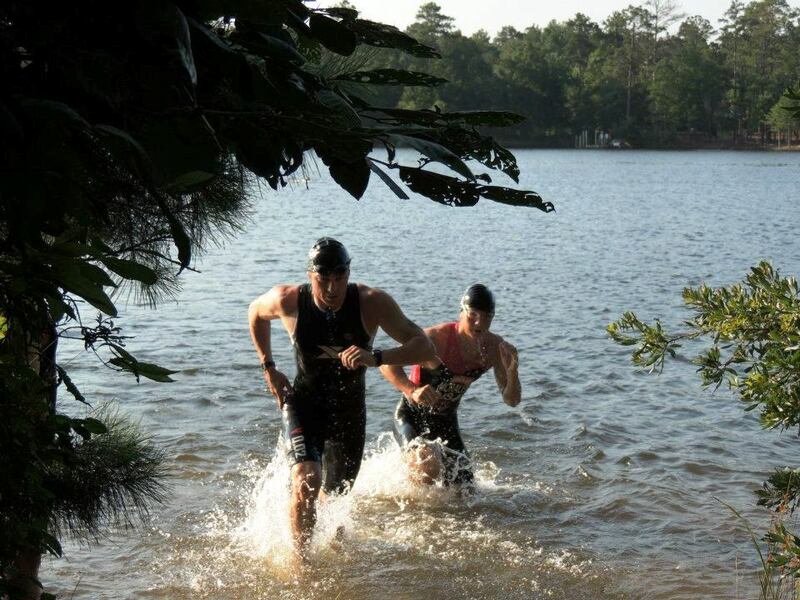 Onto the race … the swim was uneventful for the post part. 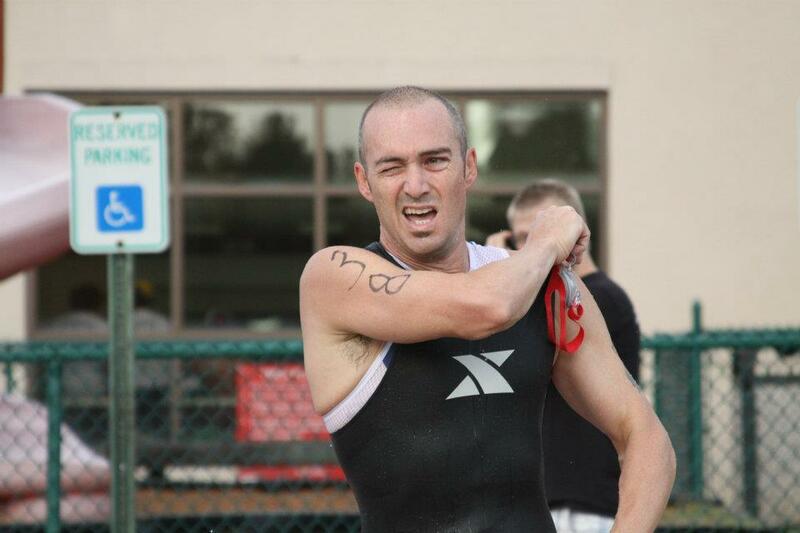 One kick to the face by a breast-stroker on the second lap as we ran into age groupers that had started after us. I didn’t have any feet to follow so I just set a steady pace and tried to stay on course. I came out of the water 27 minutes and change (28:10 with run to transition) just a few seconds behind Chris and Peter Kotland. Chris was out of T1 first from our group then Peter then me. Chris set a high pace out of the gate and opened a massive gap. I pinned the HR at 165 and tried to drop Peter without digging too deep. I figured there were some fish up the road like Mike Wendt and David Hall that would need catching so I kept the effort pretty high for the first few miles. Soon I caught and passed those guys but then I was caught also by someone. I decided to stay with him and soon enough we brought back Chris as well. Peter evidently had the same idea as me when he was passed, as did Chris when we caught him. So now we had a group of 4 rolling along. The pace was high but not too uncomfortable. Once we got to the turn-around we could see that there was just one guy ahead of us by a little bit … maybe a minute? I sat second wheel (legally of course!) for almost the entire ride with Peter and Chris behind me. The guy setting the pace wouldn’t let me take the lead and honestly he was stronger on the bike so I was happy to let him set the pace. I felt most comfortable turning a big gear (alternating between 53x11 and 53x12) at a cadence of 70 and my HR sitting in the high 140s. Eventually Chris dropped off and not too much later we hit a section of road where the surface had deteriorated and the traffic got really heavy with aggressive drivers. I let a gap open to the guy ahead of me and so Peter and I rode into T2 together in +-2hr 15min with an average speed for the 56 miles of around 25 mph! I wasn’t sure how I would run off such a hard effort on the bike. Certainly I haven’t been riding like that in training. I was ranked 3rd on the bike but I think I was 4th since the winner’s splits didn’t get recorded. I had a crappy T2 and Peter made it out well ahead of me. Somehow though I managed to get out ahead of the guy that came in before me. I didn’t grab my Garmin off the bike for the run so I was running with just a stopwatch. I went through the first mile comfortably at 6:30/mile and had cut Peter’s lead nearly in half. Soon I was caught and passed by the guy behind me who went on to pass Peter also. So there we sat for a good long while just trying to run strong and keep moving toward the finish. I developed a major hot spot on the bottom of my foot and after trying to tolerate it for a few miles I had to stop and remove the sock. By then the damage was done and so every step was pain. I wasn’t passed by anyone else nor did I pass anyone (other than age groupers on their first lap of the double out and back course). Peter managed to repass the guy ahead of him with just a ½ left to go to finish 2nd. I came in 4th in a time of 4hours 14minutes setting a new PR for the distance!! I really enjoyed racing here and hope to come back next year and move up a few places and see if I can go under 4hrs 10min ... that would be nice! 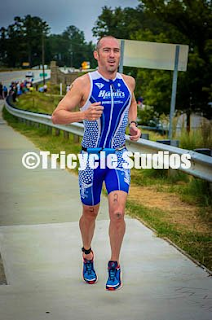 Hi, may name is Nick Brunson and this is a blog about my adventures as a triathlete, husband, father of 3, Christian, and life-long resident of the South. Pedersen, Wurf dominate bike legs to win Cannes - Camilla Pedersen and Cameron Wurf out bike their rivals to win Cannes International Triathlon. Shut up and go ride! Coming Up - My new website is coming up. Keep your eye on PeterKotland.com. It's still in progress, but it's a big office goal to have it done soon.